Welcome to the grant and fundraising guide for historic and cultural resource preservation. With so many resources available, our goal is to bring these great financial resources together in one place for the benefit of the preservation community. Unfortunately, most funding and grant programs are available for not-for-profit organizations only. However, we have identified resources available to those seeking funding for projects related to their primary residence. The State Historic Preservation Office (SHPO) administers programs and services specific to their particular State including the National Register of Historic Places programs (administered through each SHPO), as well as, but not limited to, tax incentives, easements, grants, technical assistance, Section 106 review, and education programs. Rule of Thumb: Make the SHPO your first stop for most historic preservation and restoration inquiries. We maintain a directory of SHPO's in the United States - for a full list, please click here. The National Trust for Historic Preservation has prepared a state-by-state list of tax incentives. To view, please click here. The Federal Historic Preservation Tax Incentives program encourages private sector rehabilitation of historic buildings and is one of the nation's most successful and cost-effective community revitalization programs. It generates jobs and creates moderate and low-income housing in historic buildings. The program is administered by National Park Service and the Internal Revenue Service in partnership with State Historic Preservation Offices. Q: What is the 20% tax credit for rehabilitating historic buildings? Q: Can the 20% federal tax credit be used to rehabilitate an owner’s private residence? Q: To qualify for the 20% tax credit, does a building have to be individually listed in the National Register of Historic Places or included in a National Register historic district? For more information about the Federal Historic Preservation Tax Incentives program, please click here. Since 1968, the National Park Service has provided funding for a variety of grant programs aimed at protecting our Nation's most significant historic and cultural sites and our diverse cultural heritage. More than one billion dollars has been awarded to Federal, State, and local governments, Native American Tribes, nonprofit organizations and educational institutions for preservation projects in all 50 states and the U.S. Territories. A preservation easement is a voluntary legal agreement that protects a significant historic, archaeological, or cultural resource. An easement provides assurance to the owner of a historic or cultural property that the property's intrinsic values will be preserved through subsequent ownership. In addition, the owner may obtain substantial tax benefits. Statement from the NTHP Preservation Funding page: "Last year, the National Trust for Historic Preservation awarded over $1 million in grant funding to 196 projects nationwide. Funding from the National Trust is awarded to nonprofit organizations and public agencies, and the majority of our funding is awarded for planning and education projects through our National Trust Preservation Funds grant program." 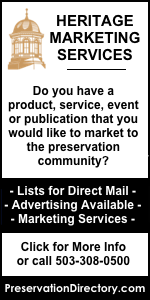 "Find Preservation Funding" section of the National Trust for Historic Preservation website. National Trust Preservation Funds - includes funds that provide two types of assistance to nonprofit organizations and public agencies: 1) matching grants from $500 to $5,000 for preservation planning and educational efforts, and (2) intervention funds for preservation emergencies. Johanna Favrot Fund for Historic Preservation - provides nonprofit organizations and public agencies grants ranging from $2,500 to $10,000 for projects that contribute to the preservation or the recapture of an authentic sense of place. Cynthia Woods Mitchell Fund for Historic Interiors - provides nonprofit organizations and public agencies grants ranging from $2,500 to $10,000 to assist in the preservation, restoration, and interpretation of historic interiors. Peter H. Brink Leadership Fund - helps to build the capacity of existing preservation organizations and encourages collaboration among these organizations by providing grants for mentoring and other peer-to-peer and direct organizational development and learning opportunities. Diversity Scholarship Program (DSP) - has provided financial assistance to more than 1,100 individuals from diverse racial, ethnic, economic and cultural backgrounds. The goal of the Diversity Scholarship Program is to increase the diversity of participants at the annual National Preservation Conference and in the preservation movement. Preservation Leadership Training - limited number of scholarships are available to ensure the cultural diversity of Preservation Leadership Training participants and will be applied to housing and/or meal fees. 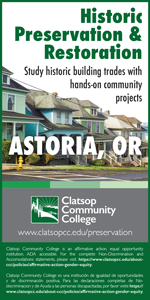 Mildred Colodny Scholarship for Graduate Study in Historic Preservation - provides financial assistance (a tuition award and a paid internship) and experiential learning opportunities to individuals preparing for careers in historic preservation. The purpose of the Colodny Scholarship is to increase the diversity of people pursuing degrees and careers in historic preservation in the United States. Grants for Arts Projects - Art Works: Design - According to National Endowment for the Arts guidelines, historic preservation organizations that focus on architecture, landscape architecture, or designed objects should apply for funding under this program. America’s Historical and Cultural Organizations: Planning Grants and Implementation Grants - Interpretation of historic places or areas is among the activities funded by these grants. Challenge Grants - Challenge grants help institutions and organizations secure long-term support for, and improvements in, their humanities programs and resources. Collaborative Research Grants (Humanities) - These grants support original research in the humanities. Preservation Grants for Smaller Institutions - These grants fund the preservation and conservation of collections. We the People: Interpreting America’s Historic Places Grants - Interpreting America's Historic Places projects may interpret a single historic site or house, a series of sites, an entire neighborhood, a town or community, or a larger geographical region. Communities across America have access to Transportation Alternatives (TA) funds from the federal government to expand travel choice, strengthen the local economy, improve the quality of life, and protect the environment. The Transportation Alternatives program was established by Congress in 2012, and is funded through a proportional set-aside of the core Federal-aid Highway Program. Andrew W. Mellon Foundation - makes grants in six core program areas: Higher Education and Scholarship; Scholarly Communications; Research in Information Technology; Museums and Art Conservation; Performing Arts; Conservation and the Environment. 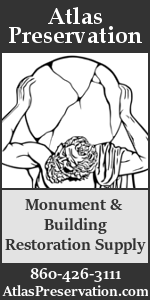 Charles E. Peterson Fellowship - In a joint program with the Athenaeum of Philadelphia, the Society of Architectural Historians is pleased to offer an annual fellowship that will support the participation of a graduate student in the research and writing for a volume in the Buildings of the United States (BUS) series. E. Geoffrey and Elizabeth Thayer Verney Fellowship - In an effort to enhance the public's knowledge and understanding of the heritage of Nantucket, Massachusetts, the Nantucket Historical Association offers an annual fellowship, the E. Geoffrey and Elizabeth Thayer Verney Fellowship. Foundation of the American Institute for Conservation (FAIC) - offers several grants and scholarships to individuals and organizations to promote professional development, outreach to the public, and publications. Getty Foundation grants - through strategic grants and programs, the Foundation supports projects in Los Angeles and throughout the world that advance the understanding and preservation of the visual arts. Graham Foundation for Advanced Studies in the Fine Arts - project-based grants to individuals and organizations and produces public programs to foster the development and exchange of diverse and challenging ideas about architecture and its role in the arts, culture, and society. HABS-SAH Sally Kress Tompkins Fellowship - the Sally Kress Tompkins Fellowship, a joint program of the Society of Architectural Historians (SAH) and the National Park Service's Historic American Buildings Survey (HABS), permits an architectural historian to work on a 12-week HABS project during the summer. The Kinsman Foundation - at its beginning in 1983, The Kinsman Foundation chose 4 granting areas to pursue. 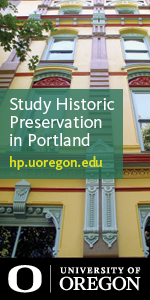 Historic Preservation, originally characterized Historic Preservation and Restoration, continues as a primary interest. In 2006 we recognized that architectural preservation was effectively a focus in this area. National Historical Publications and Records Commission (NHPRC) -NHPRC is the grant making affiliate of the National Archives and Records Administration (NARA). It "supports a wide range of activities to preserve, publish, and encourage the use of documentary sources relating to the history of the United States." Nebraska State Historical Society Research Grants - awards up to three research grants of $1,000 each to support the work of scholars pursuing original research and interpretive writing on some aspect of history or archeology of Nebraska or the Great Plains. Presidential Library Grants - several private foundations associated with our Presidential Libraries provide grants-in-aid to assist researchers studying Presidential Library holdings. Society of Architectural Historians' Study Tour Fellowships - SAH Study Tour Fellowships are open to current PhD students and emerging professionals (within five years of having received a terminal degree). Contact your SHPO, local CLG (certified local government commission, landmarks board, etc) and/or your local historical society(s). There may be tax incentives and other assistance available at the local, state or federal level. We maintain a directory of such organizations - please click here to do a search for your state. Department of Housing and Urban Development's Federal Housing Administration (FHA) - flexible loan program that helps developers, investors, and families at all income levels to buy and restore properties in urban and rural historic districts. foreclosures and abandonment. Through the purchase and redevelopment of foreclosed and abandoned homes and residential properties, the goal of the program is being realized. Department of Agriculture's Rural Housing Service - offers funds for the acquisition, construction, repair or rehabilitation of homes and apartment-style housing for low and moderate-income residents in rural areas. Preservation Easement Tax Incentives (PDF Document) - A preservation easement is a voluntary legal agreement that protects a significant historic, archaeological, or cultural resource. An easement provides assurance to the owner of a historic or cultural property that the property's intrinsic values will be preserved through subsequent ownership. In addition, the owner may obtain substantial tax benefits. Catalog of Federal Domestic Assistance - Catalog of Federal Domestic Assistance (CFDA) provides a full listing of all Federal programs available to State and local governments (including the District of Columbia); federally-recognized Indian tribal governments; Territories (and possessions) of the United States; domestic public, quasi- public, and private profit and nonprofit organizations and institutions; specialized groups; and individuals. Foundation Center - national nonprofit service organization recognized as the nation’s leading authority on organized philanthropy, connecting nonprofits and the grantmakers supporting them to tools they can use and information they can trust. Grants.gov - One stop shopping for federal grants. Choose from topics such as: Agriculture, Arts, Business and Commerce, Community Development, Environmental Quality, Housing, Natural Resources, Transportation and many more. The Grantsmanship Center - founded in 1972 by Norton J. Kiritz to offer grantsmanship training to nonprofit and government agencies. Interested in listing your grant program, fundraising source, or other historic preservation-related fundraising resource? Please email us the information via our online form - we will be happy to review your program/resource and add it to this page for the benefit of the preservation community. Please also send corrections and/or updates concerning the programs listed above if necessary. Your participation is most appreciated! The above information will be available as a downloadable pdf document in the coming days (please contact us and we'll send you a copy, or check back to this page in a few days).